Over the past few weeks, in parts of the USA (like the Central Coast of California – where we’re based) glimpses of Spring could be seen. From unexpectedly warm days to flowers in bloom, signs of Spring were cropping up everywhere. As we look ahead to Spring, it’s a good time to re-assess our own personal care routine. To help you transition from Winter to Spring, today’s edition of “Fabulous Finds” features 6 essential beauty products that are great for revitalizing your hair, skin, and body. To restore luster, shine, and softness to hair, here are a couple must-try haircare products this season. Since one of the biggest complaints we hear during harsh Winter months is that hair feels dry and frizzy, it’s imperative to give it the TLC it deserves. 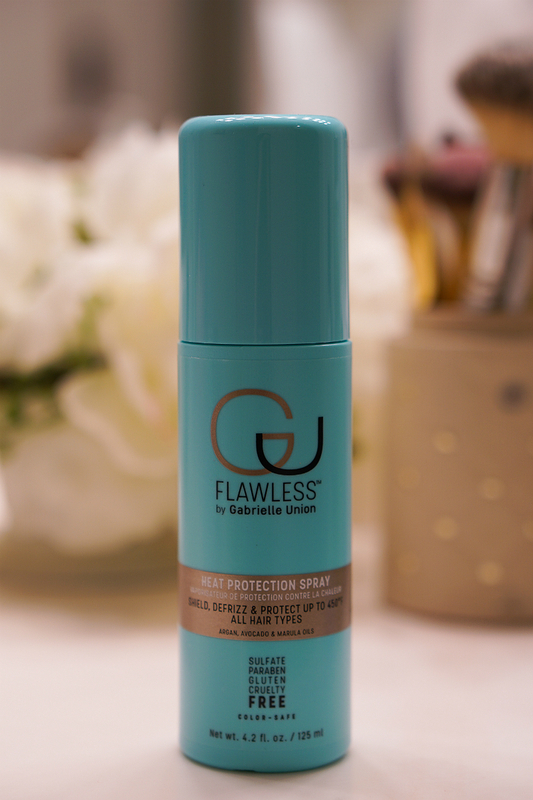 That’s why we always recommend applying a heat protectant spray (like Flawless by Gabrielle Union Heat Protection Spray) on damp hair prior to blow-drying or styling. This will help coat delicate strands, which shields hair from the drying and damaging heat that comes along with using styling tools. As busy women, discovering multi-tasking beauty products is essential. To keep hair soft, gorgeous and tangle-free, a detangling brush is a must-have. 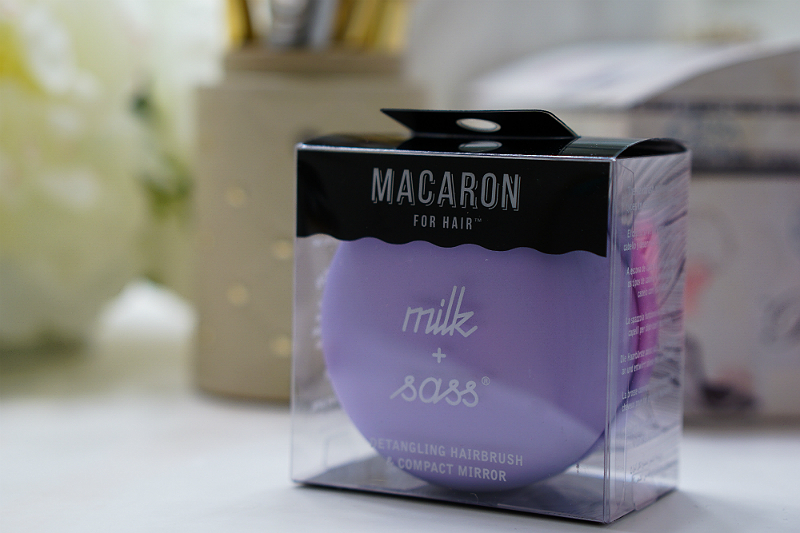 To keep our hair looking great from day-to-night, we’ve fallen in love with the adorable (and totally practical) Macaron for Hair by Milk + Sass. This colorful little compact brush with built-in mirror is small enough to tote along in a purse and helps to keep tresses tangle-free. After a season of blustery weather, frigid temps, and forced central heating, our skin feels like it needs extra pampering. 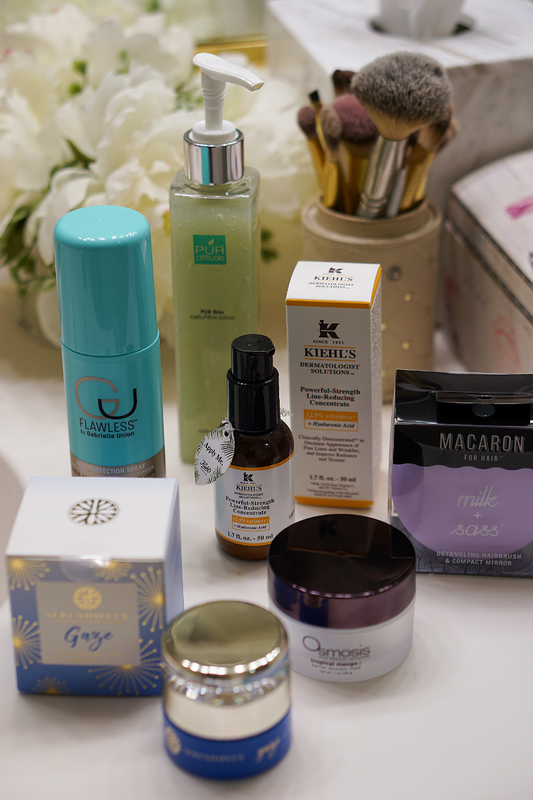 Short of heading to a spa for a weekend, we’ve found that a few revitalizing skincare products are all we need to get our skin ready for Spring. 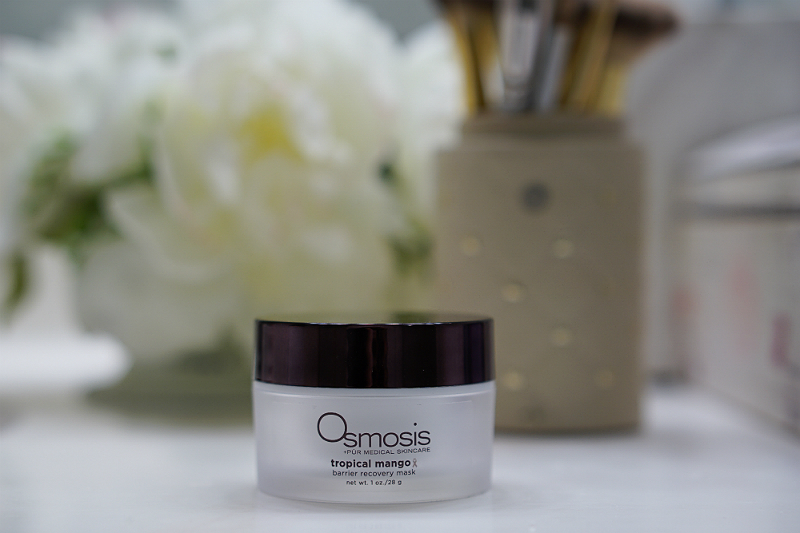 When our face feels especially dry or flaky, one of our favorite skincare masks to use is Osmosis Tropical Mango Barrier Recovery Mask. 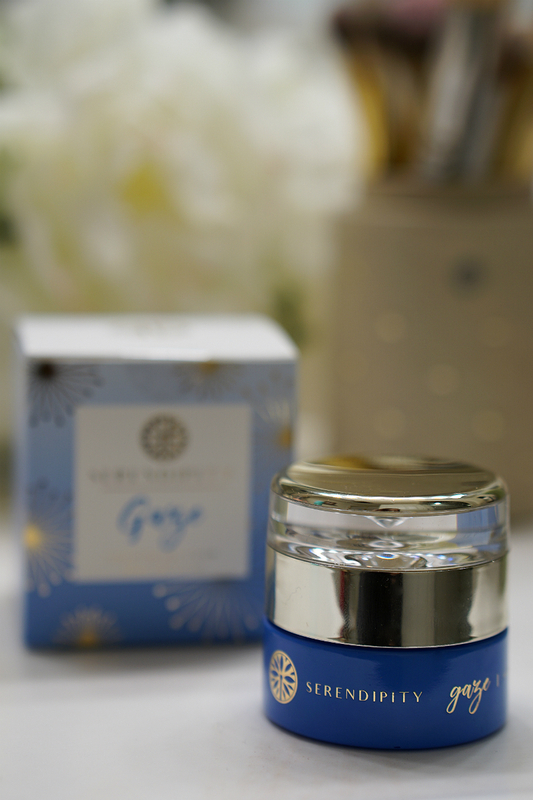 Within a few short minutes of applying this soothing mask, skin feels hydrated, silky smooth and refreshed. Plus, we love the fact that this mask is ideal for people with Rosacea (who often have a hard time finding skincare products that don’t aggravate their sensitive skin). 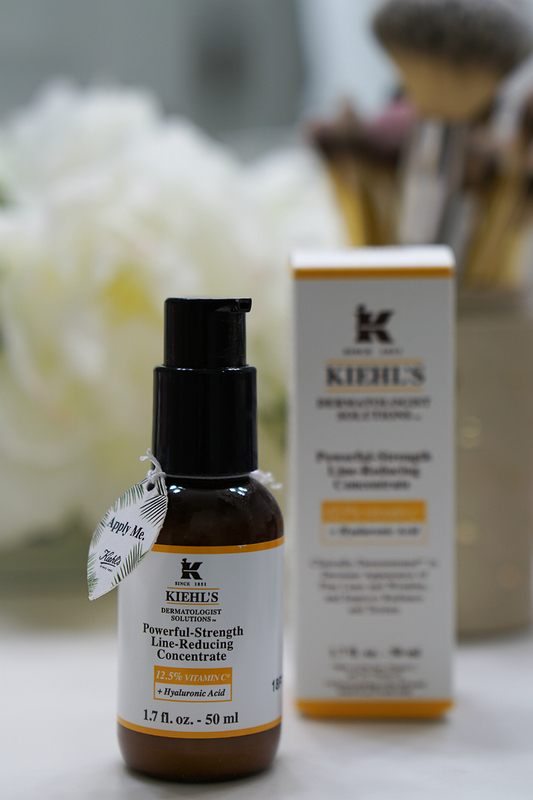 Another great way to revitalize dull, lackluster skin is with antioxidant-rich Vitamin C skincare products (like Kiehl’s Powerful-Strength Line-Reducing Concentrate). Revered for brightening skin and visibly improving the look of sun spots, hyperpigmentation, and discoloration, Vitamin C is a powerful skin care ingredient. Another reason why we recommend this Kiehl’s product, in particular, is because it also contains Hyaluronic Acid, which is one of the best ingredients for instantly hydrating and plumping skin. Since the delicate skin around our eyes often shows signs of aging first, it’s imperative to regularly use an eye cream. From fine lines and wrinkles to sagging skin, droopy eyelids, and even dark undereye circles, women often find something to complain about when it comes to their eyes. That’s why a multi-tasking eye cream (like Serendipity Gaze Eye Cream) is so helpful. This hydrating eye cream helps moisturize skin, reduce signs of puffiness, and minimize the look of dark circles. As the weather heats up in Spring, we naturally feel inclined to wear more revealing clothing. As a result, we’re reminded of those pesky body issues (like unwanted cellulite) that we had under wraps during Winter. To give our skin a smoother, firmer appearance, a topical cellulite treatment (like PUR Firm Cellufirm Lotion) can help, as it “stimulates micro-circulation” and plumps up the skin. If you want to get bikini-ready, this is definitely one bath & body product to try. For more revitalizing beauty products, check out past editions of “Fabulous Finds” on Inspirations & Celebrations.